Zahrajte si nyní Sahara online zdarma! Pharaonic treasures are buried in the desert sand! Try your luck across the five reels and five fixed win lines, and you could bring them home. 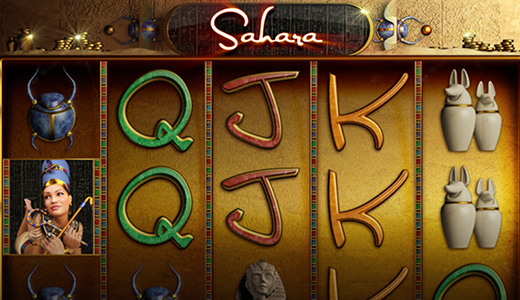 A mysterious Egyptian is your lucky charm in Sahara, and she could help you land fabulous winnings! Land five matching symbols side by side along a win line running from left to right to win a huge pile of Twists. Three identical symbols can also win you Twists, while just two of the J symbol could be enough! The Sphinx Statue can land you Scatter winnings. That means that winnings achieved with this symbol are multiplied by the total stake. Big wins deserve to be celebrated! For this reason, a lady will dance across the reels and congratulate you should you get five matching Egyptian symbols on the screen. 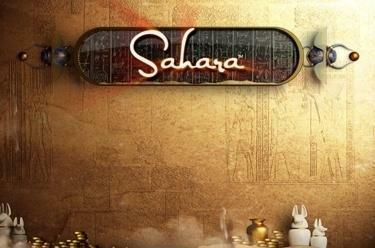 Sahara is easy to play, but full of thrills! It delivers pure slot fun that will keep you entertained time after time. But don’t just take our word for it - see for yourself!